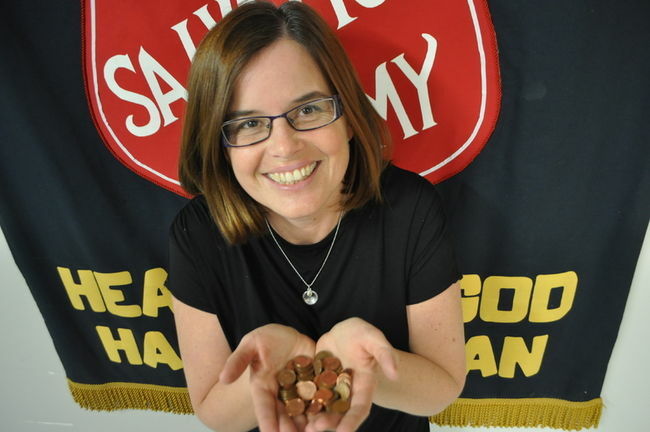 Recently, the above photo was on the front page of our local newspaper, The Packet and Times (see full article here: http://www.orilliapacket.com/2013/02/05/business-as-usual-for-local-merchants-despite-end-of-one-cent-coin ) I had a few laughs with the reporter as she took the shot. I love making people smile. I received many compliments from friends and family about the photo, I appreciate every one of them. Because it was on the front page, it sparked lots of conversations. I even heard the comment “Everyone likes you” several times. Uh…no. Not true. Just to clarify, “everyone” does not like me. I can talk too much, I might say the wrong thing at the wrong time and hurt someone’s feelings by accident and my positive outlook can even be annoying to some people. So, no, everyone does not like me. It made me wonder why some people thought that. I think it comes down to the simple Golden Rule “Treat others like you would like to be treated”. Every religion and society has some version of the “Golden Rule”. It is a simple truth. Whether you are a Christ follower or not, most people will agree that Jesus has amazing teachings. The main thing he taught was love. Love others, love yourself and love God. It’s your decision to make. I try to do all three. How do I show love for others? I treat people in a non-judgemental manner. Make them feel loved. Give them respect. I show transparency in my own life; through conversations, this blog, Facebook and Twitter. Honestly, I just try to be real. Everyone has a story, so I make a point of listening to them. Sometimes I share my story, hoping to empower others to share theirs. How do I show love for myself? TRUTHFULLY, this one is harder for me, so I have to keep reminding myself that I am here for a reason. I also try to eat healthy and live an active lifestyle to take care of the one body I’ve been given. How do I show love for God? I try to live every day for Him. People ask me how I manage to accomplish everything that I do. It’s simple, through God’s strength. How do you show people that you care? How do you want to be treated? Is it the same way you’d like to be treated?